Why Am I Getting Bad Credit Credit Card Offers? Most people receive credit card offers in the mail on a regular basis. But what if it slowly dawns on you that some of the offers in your mailbox are credit card deals for people with bad credit? Don’t take it personally. If you’ve ever received invitations to join AARP even though you’re only 27, or coupons for a store that specializes in petite clothing even though you’re 5 foot 11, you know that advertisers don’t always get things exactly right. But it’s possible that a credit card for people with poor credit may actually be right for you. For example, people with no credit history at all often have a hard time when applying for traditional credit cards. And with a run of unemployment or general bad luck, it’s lamentably easy for credit scores to dip below 630, which means you’re in low credit score territory. If that’s the case, there’s no shame in applying for one of the major credit cards that caters to people with bad credit. Bad credit credit cards differ from regular cards in a few key ways. They may be secured credit cards, meaning that you have to pay a refundable deposit to show the bank that you are serious about paying back what you borrow. They may have higher interest rates than cards available to people with stronger scores, and the rewards you’re offered may not be as juicy. But these may be the best credit cards to apply for in your particular situation. Getting a credit card and being careful to pay the bills on time will go a long way toward rebuilding your score, which is crucial if you want to get ahead financially. Better credit isn’t just about being able to get the very best credit cards or even a mortgage. It also makes it easier to find a landlord willing to rent to you, get a better job and get car insurance. And let’s face it: If you’ve contacted a bankruptcy lawyer recently, or have otherwise tipped credit card companies off that you may need to rebuild your credit, you may be receiving those particular offers for a good reason — because those cards are right for you. The important thing is that you learn to use credit responsibly, build up your score and start paying down debt and saving a cash cushion so you’ll be able to ride out the next wave of unexpected financial challenges you encounter. There’s no shame in needing to rebuild your finances. In fact, you should be proud of yourself for taking the necessary steps to provide financial security to yourself and the people you care about — even if that means applying for a credit card for people with poor credit. 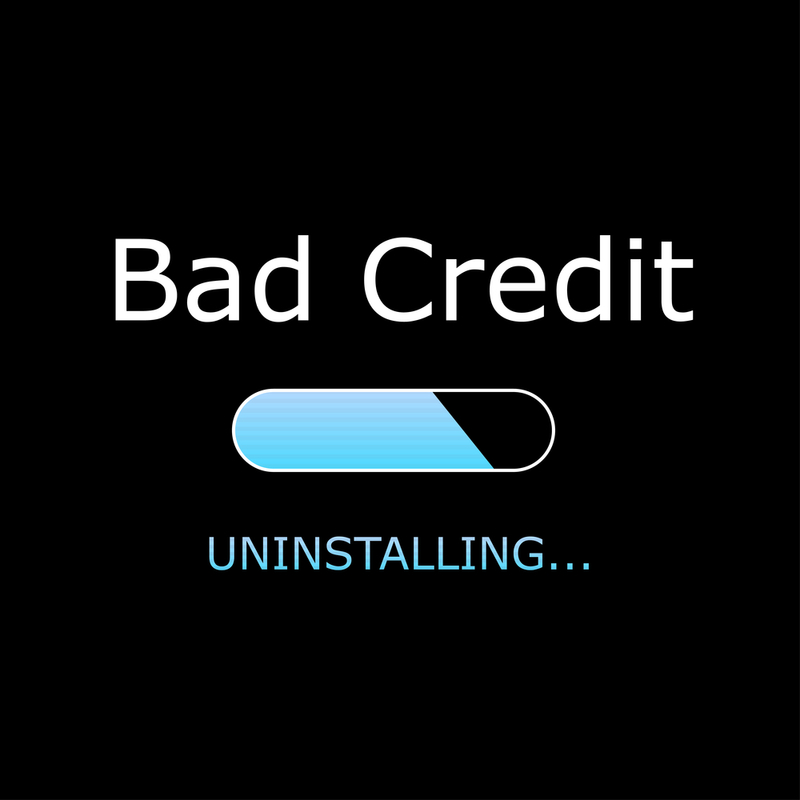 Bad credit illustration via Shutterstock.